Jewish law dictates the procedure for getting a divorce. There are a number of sites where you can find information about Jewish divorce online. The following is an overview of the Jewish faith's attitude towards divorce and the procedure involved in ending a marriage. The Jewish faith has recognized that not all marriages will last a lifetime thousands of years ago. This religion takes the view that is is better to end a marriage that is not working than for the couple to stay together if they are not able to get along and their home is filled with bitterness. According to Jewish law, a husband can divorce his wife for any reason. During Biblical times, he could send her away if his dinner was spoiled or if he was attracted to another woman. Only the man could start divorce proceedings at that time and the wife had no choice in the matter. This rule remained in effect until 1,000 years ago; at that point Rebbeinu Gershom ben Yehuda (965-1028) declared that a husband could not divorce his wife under Jewish law unless the wife gave her consent. If a Jewish man wants to divorce his wife and she is not guilty of any type of misconduct, he must pay her a substantial amount of money as compensation. Since a Jewish marriage starts by signing a marital contract, it cannot be ended unless a legal document voiding the initial contract is issued. The couple would go through a civil divorce first and once the divorce decree has been issued, they would apply for a get, or Jewish divorce. A contract will be prepared for the couple to sign. They don't need to be present to sign at the same for the document to be valid. It is not a lengthy process; it usually takes one-two hours to prepare the document. Each person will be asked to provide identification before signing. They will be asked some questions to ensure they are signing of their own free will and not under duress. Two witnesses must also sign the document. "This is your Get, and accept this as your Get. You shall therewith be divorced from me; you are untied free and permitted to any man." The get is not official until it is given to the woman and she accepts it. Once she is given the document, it is traditional that she takes a few steps backward. 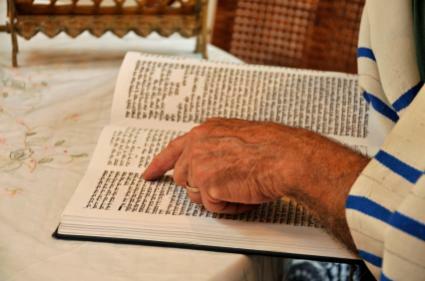 Unless the get is obtained, neither person will be able to remarry under Jewish law. A man is barred from remarrying his former wife if she has married another man after their original divorce. The Judaism 101 gives some basic information about the process of obtaining a Jewish divorce and the fact that this process is not based on equality between the sexes. Visitors to the Kayama.org web site will find out the procedure for obtaining a Jewish divorce and the consequences for failing to take this step. Check out the list of Frequently Asked Questions to find out why legally ending the marriage is not enough for followers of this faith.